现在到 April 21st 为止, Audible.com 注册账户可以获得 FREE $5 Audible credit - valid to use through April 30th! Just go here, click on "Let's Go", and your $5 will automatically be applied to your account. 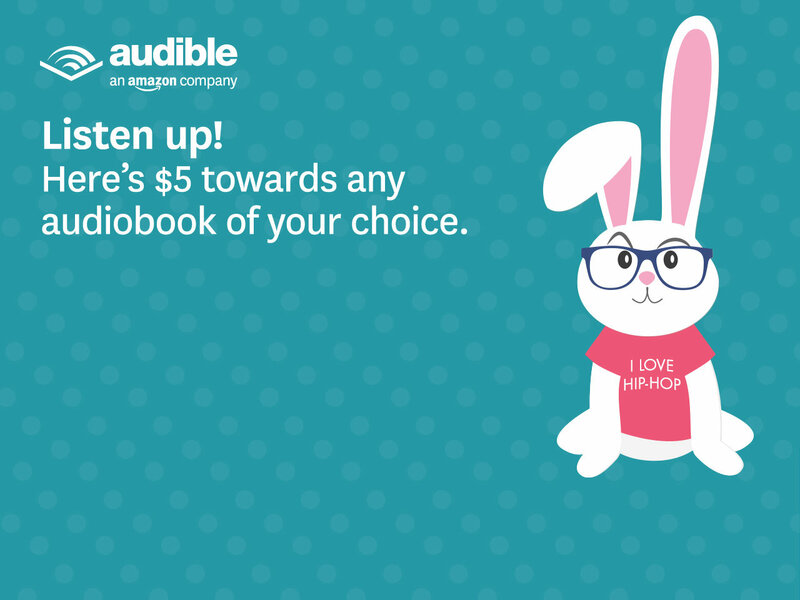 If you’re not an Audible member, you can sign up first and then click back on this link to score your $5 credit. Note: this credit can only be applied to items sold by Audible.com. 你 sign up 以后， 可以使用 Audible Free Trial and Get an free audiobook of your choice. Free trial is 30-day . After the trial, your paid membership will begin at $14.95 per month. 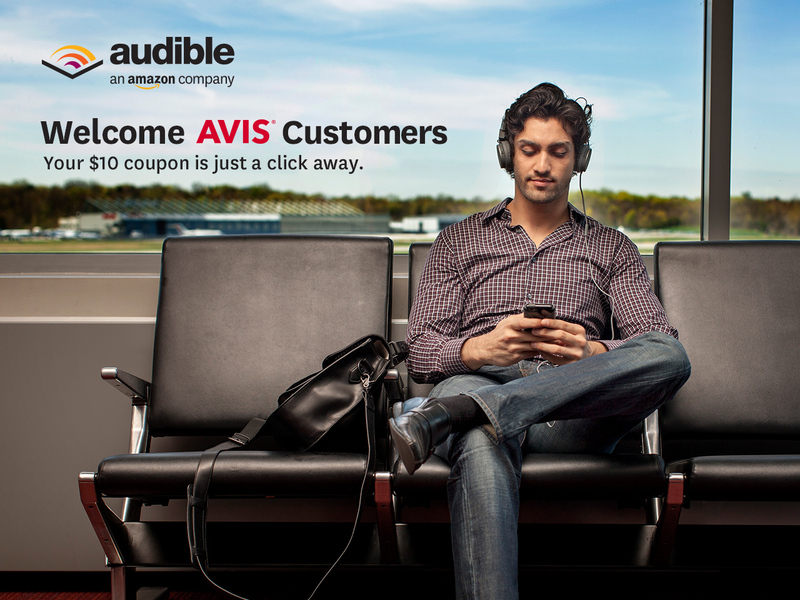 With your membership, you will receive one credit every month, good for any audiobook on Audible. And also you can Cancel your membership anytime, effective the next monthly billing cycle. Cancel before your trial ends and you will not be charged. Check out the full terms and policies that apply to Audible membership. Audible.com offers a $10 Credit Towards Audiobooks for Free. Note, voucher may only redeemed for audio content, not valid for purchasing membership, gift cards or other items. Limit one per customer and account. Through October 31st, new Audible.com customers can get a FREE 2-Month Audible.com Trial after enter the promo code FREE2. With this free trial, you will receive one credit every month good for an Audible audiobook. After two months, your paid membership will begin at $14.95/month but you can cancel anytime.